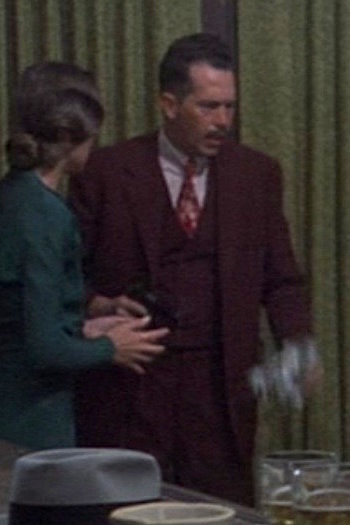 Warren Oates and Michelle Phillips as John Dillinger and Billie Frechette, respectively, in Dillinger (1973). The film inaccurately portrays Polly Hamilton as an alias for Billie Frechette; in reality, Polly was an entirely different person. Although it had been founded in 1908, the FBI had existed for more than a quarter of a century without grabbing major national attention. There were many major successes, but the recent crime wave of bank-robbing desperadoes tarnished the agency’s image and, in turn, turned outlaws into folk heroes. One of these “folk heroes” was John Dillinger, a 31-year-old Indiana native who had recently embarrassed national law enforcement by reportedly breaking out of jail with a wooden gun. Although they had Dillinger in their sights for the better part of a year, the FBI – then known as the Bureau of Investigation (BOI) – had no legal jurisdiction to take him down. Dillinger’s crimes – ranging from bank robbery to alleged murder – were all certainly major, but none violated any federal law. 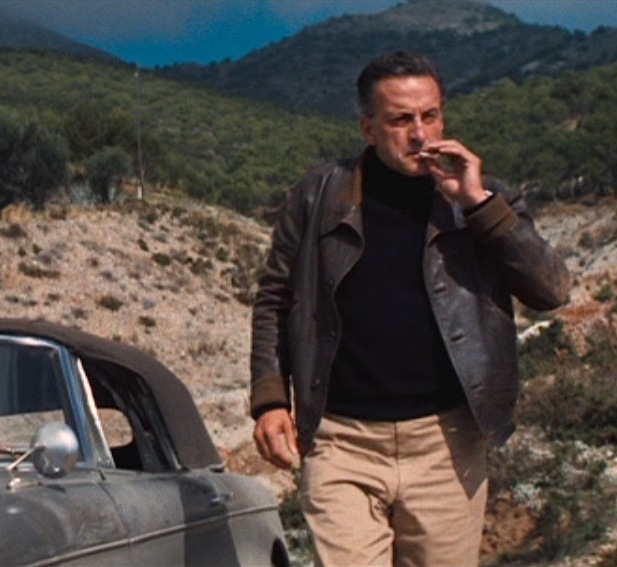 Then, it was realized that Dillinger had stolen the Lake County sheriff’s car during his escape. By driving the stolen automobile across a state line, Dillinger violated the Dyer Act. 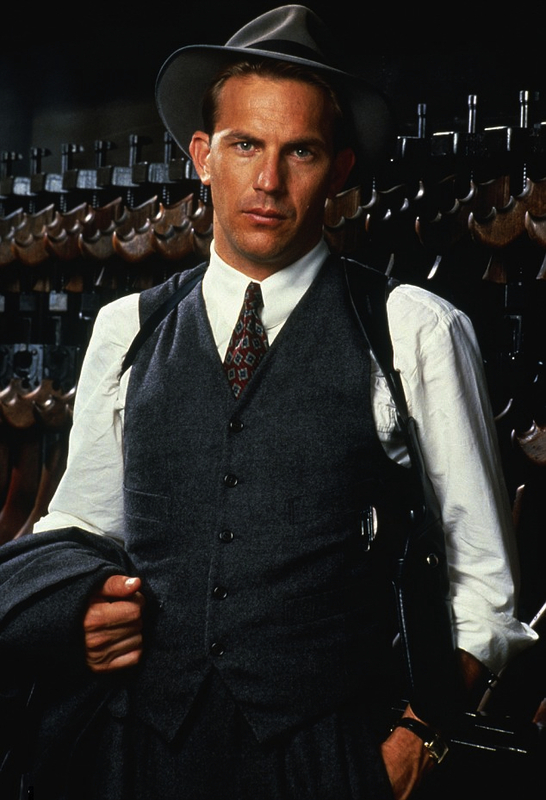 Kevin Costner as Eliot Ness in The Untouchables (1987). 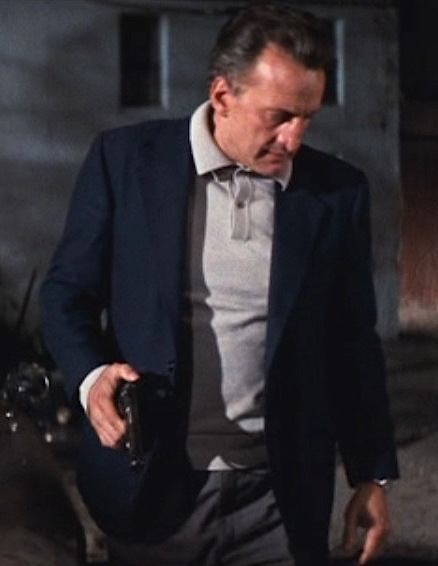 This blog has been focusing on a lot of bad guys lately, so let’s take a look at a good guy… at least according to the film about him. 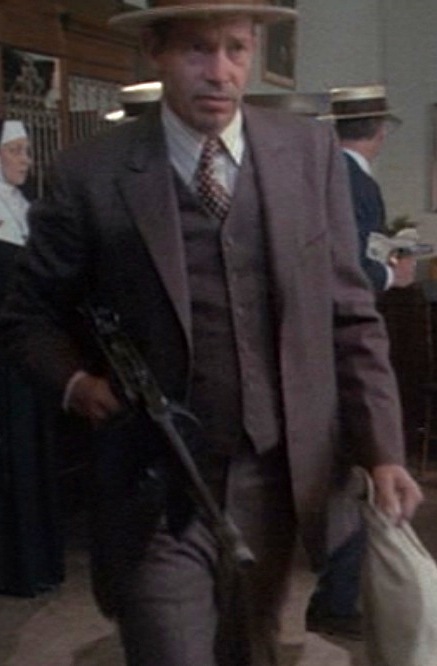 Warren Oates as John Dillinger, leaving a South Bend bank job in 1973’s Dillinger.